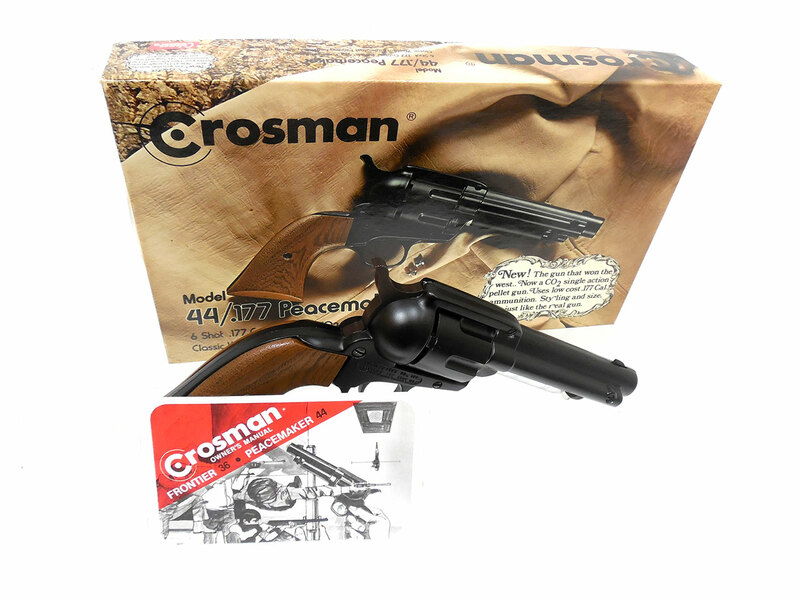 The Crosman 44 Peacemaker is a full sized CO2 replica of the Colt Peacemaker. 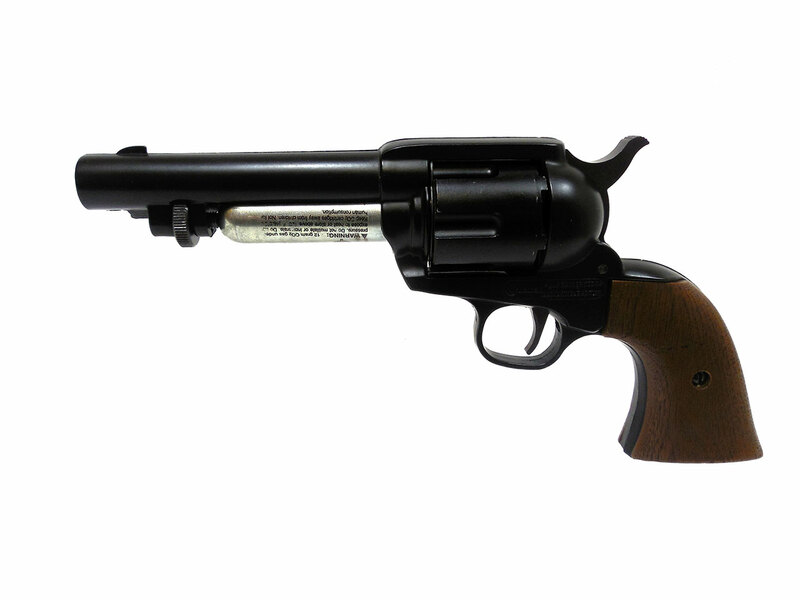 The peacemaker is a single action 6-shot .177 caliber revolver. They were manufactured between 1970 and and 1981. This one includes a factory box and an owner’s manual. 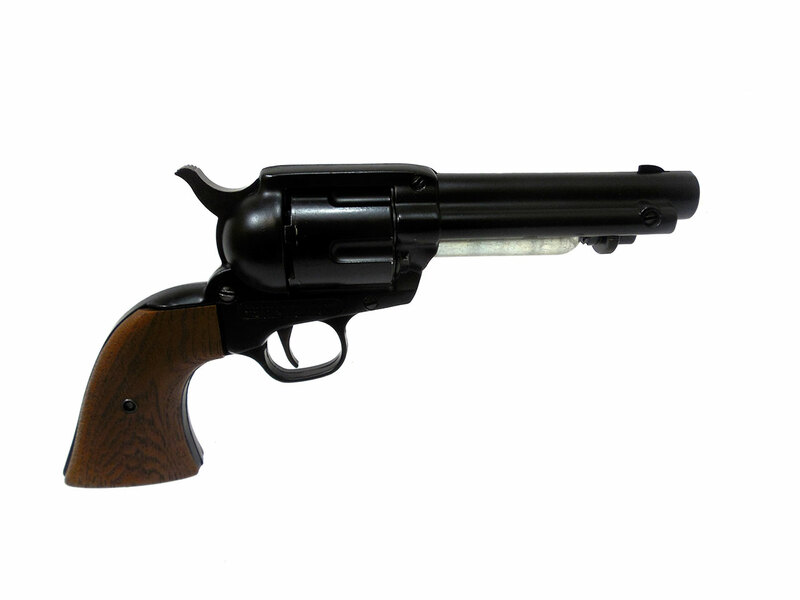 As is typical with this model the CO2 cover is missing, but the metal retains about 95% of the original finish, and the grips are in excellent condition. It’s recently been cleaned, lubed, and resealed in our shop. Velocity was tested at around 261 fps using lead pellets.